The holidays are coming, and we’ve found the perfect place to visit throughout the festive season. 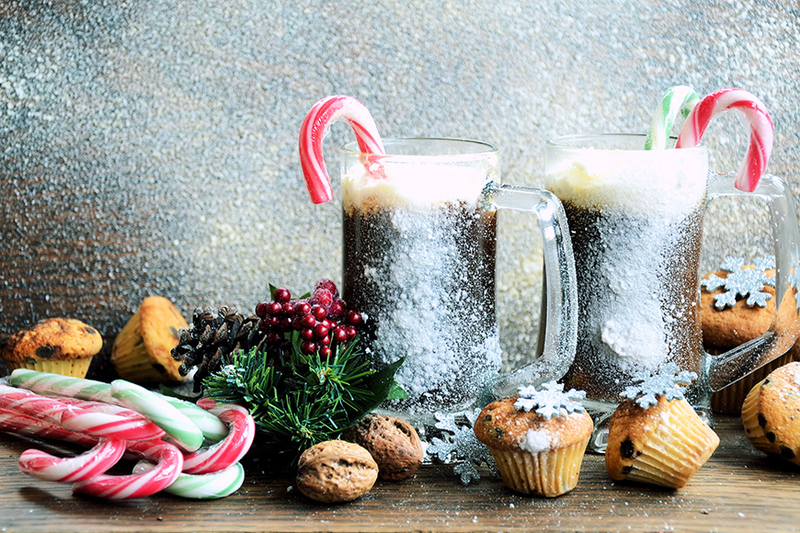 From Santa brunches to Christmas hampers and New Year’s Eve dinners, Pullman JLT has a calendar full of Christmassy celebrations to enjoy. Turkeys at just AED 475* for a 5 to 6kg Turkey. A slow roasted maple glazed turkey along with celery and chestnut stuffing with roasted potato, glazed chestnuts, maple glazed root vegetables, Brussel sprouts, chipolatas wrapped with bacon and turkey gravy. Turkey takeaways are available for Thanksgiving and from 2nd December onwards. Pre-order 48 hours. Beautiful decorated Christmas trees, made convenient and available for Pullman residents. Inclsuive of Christmas Yule Log, Gingerbread house, Panettone and many goodies. Available at Ahlan Café for takeaway. For only AED 119* soft drinks package or AED 209* house beverage package. Kids for AED 79* (for children between 6 and 12 years old, children under 6 dine for free) one kid free is allowed per parent. At Manzoni from 16.00hrs-20.00hrs, there's special Christmas cocktails during happy hour and delicious Christmas desserts. Entertainment, kids activities, live band and a surprise visit from Santa. Price at AED 159* per person with soft beverages. AED 259* including alcoholic beverages. AED 99* for children between 6 to 12. Below 6 will dine for free. One kid free per parent. AED 169* per person, 4 course set menu including unlimited soft drinks and AED 269* with alcoholic beverages. AED 99* for children between 6 to 12, Below 6 dine for free. Family style brunch food to share on the table. AED 149* per person unlimited soft beverages and AED 249* per person unlimited house beverages. AED 99* for children between 6 to 12, Below 6 will dine for free. Unforgettable style of culinary delights and live Entertainment for AED 649* per person including house beverages. AED 249* for children between 6 to 12, below 6 will dine for free. One kid allowed per parent. AED 649* per person including unlimited house beverages. AED 249* for children between 6 to 12, Below 6 will dine for free. One kid allowed per parent. Early Bird offer until December 15th: AED 549 per person with unlimited house beverages. AED 119 with unlimited soft beverages, AED 209 per person unlimited house beverages. AED 79* for children between 6 to 12, below 6 will dine for free. Priced at AED 119* per person with soft beverages. AED 209* with house beverages. Price at AED 119* per person with soft beverages. AED 209* with house beverages.